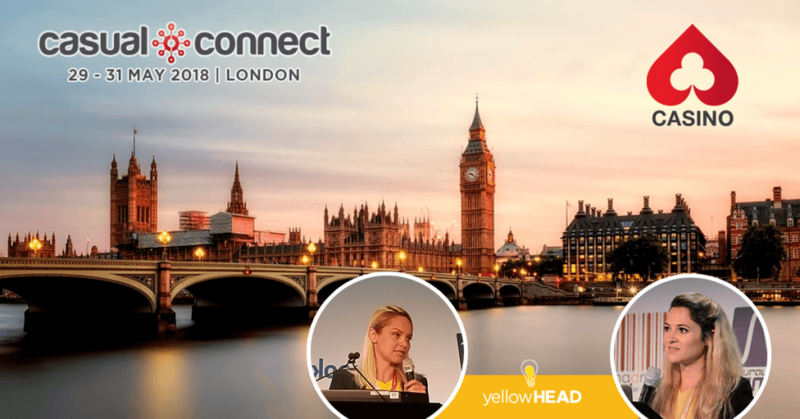 2 weeks ago, yellowHEAD attended Casual Connect London where we, Marina and Merav, were privileged to emcee the social casino track and welcome some of the brightest and most experienced minds from the industry, some of who we are proud to personally work with, including The Stars Group, Product Madness, and Whow Games. 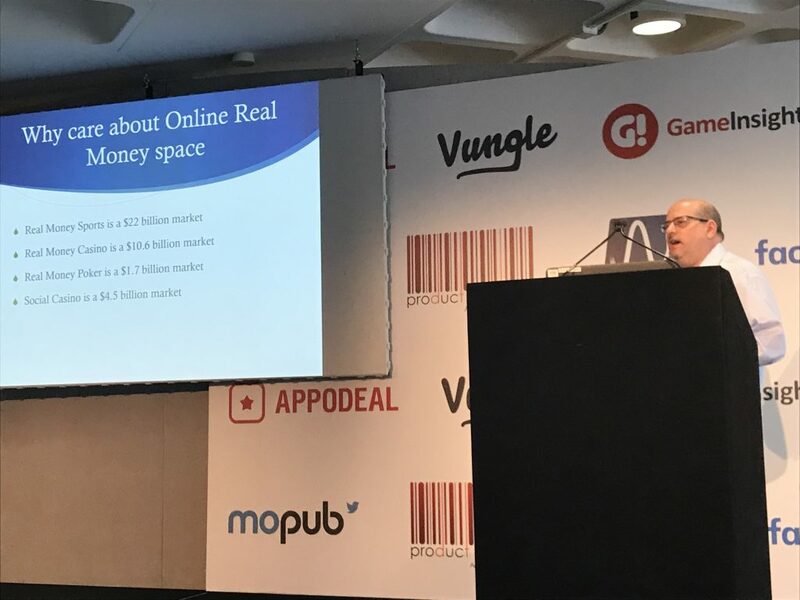 Lloyd shared with us and the audience what lessons and best practices from Real Money Casino can be applied in the Social Casino space to maximize lifetime value. According to Lloyd, the social casino space is the most consistent and profitable area of mobile gaming. But, to a degree, this success has led to complacency. Since the social casino industry is not that hit-driven as mid-core and casual games, it’s relatively “easy” to make revenues. There’s also not that much innovation. So, rather than innovate, companies have been successfully tuning or largely copying existing products. When you look at social slots, for instance, the products haven’t really changed a lot. 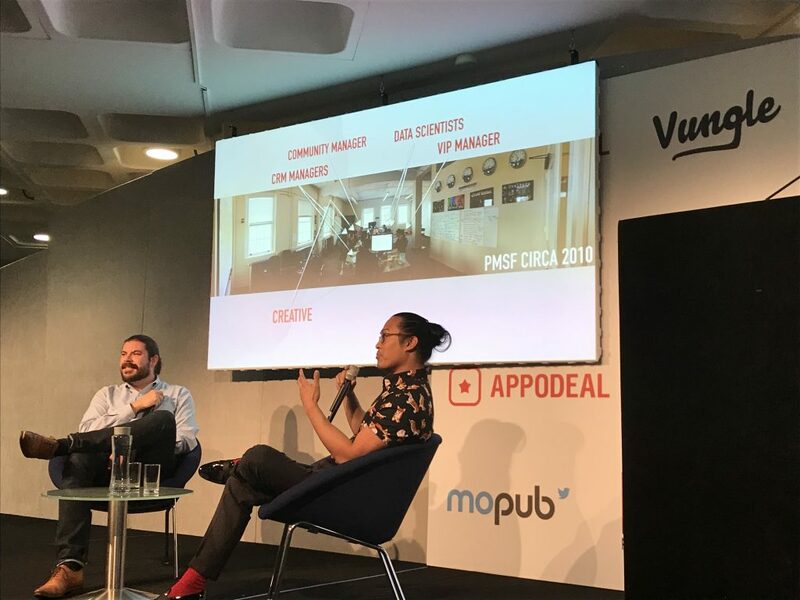 New features are changing, and so have VIP monetization strategies, but there hasn’t been a huge need for drastic changes. Bingo is still Bingo and Poker is still Poker. While this strategy continues to grow revenue in the space, social casino games are no longer attracting new players. So, he suggests looking at Online Real Money Space. Why? There’s no reason why we can’t be learning what’s going on in the Real Money Gaming field to get product inspiration. While Social Casino players are 73% female with an average age of 39, the RMG audience is 65% male, with Real Money Casino about 55% male. One of the strongest RMG best practices is leveraging aspirational events, e.g. PokerStars Players Championship, Sunday Million, etc. This also includes live events, but it is important to understand that they are not revenue centers – they are profit neutral and their main goal is to build excitement for the brand. 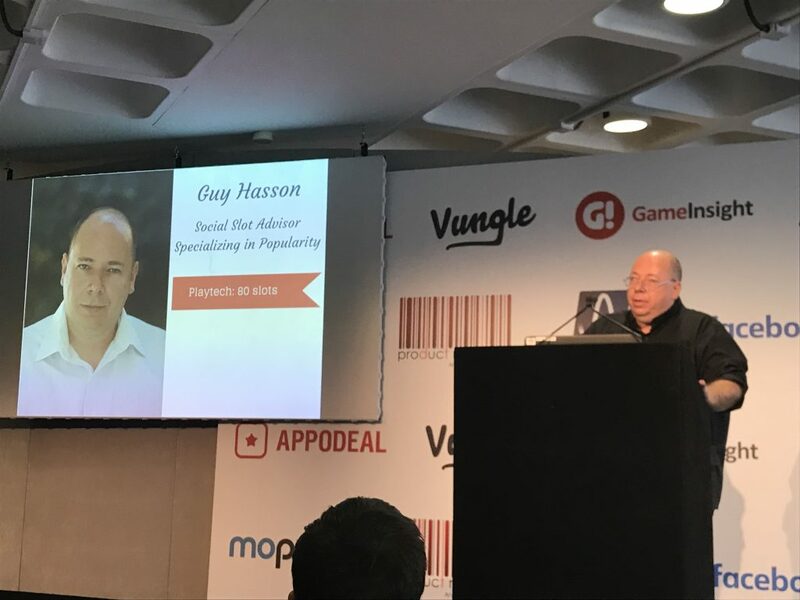 Guy gave an interesting talk on a case of how using game economy prediction system, Simpool, helped GamePoint’s bingo game maximize its performance in quick iterations. Game economy design for a new game is complicated. Changes in the economy of a live game hold risks to the game performance. Why is game economy a challenge? With Simpool, Guy and his team managed to simulate millions of users and generate data themselves in order to allow them to test 100X more hypotheses. As a result, GamePoint introduced the level progression in the game that led to more DAU, higher short/mid-term retention and more engagement. Guy has vast experience in advising over 30 companies with slots apps. 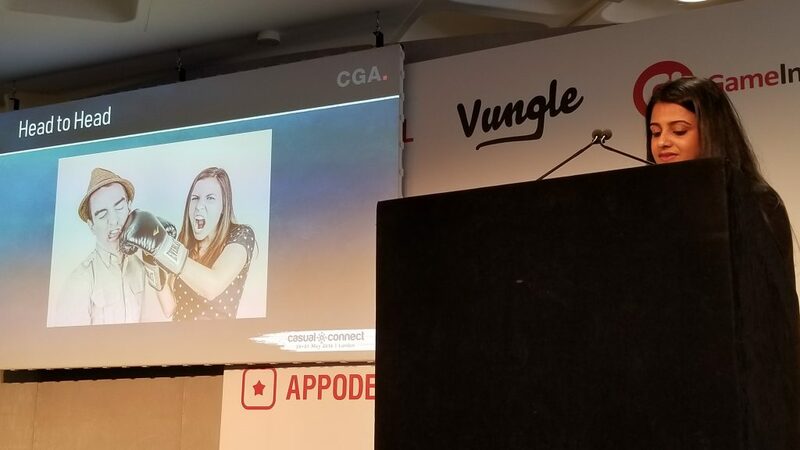 At Casual Connect London, he held an engaging and very interesting talk on the common mistakes game developers usually make in their games, depending on the stage they are currently at, and gave actionable insights on what to fix. What companies at this stage really need, according to Guy, is to double the income from the players who are already paying. Joraynee has 14 years of experience in advertising and 8 years in performance marketing. He started at Product Madness in 2010 and shared the path of creating a strong creative team from a typical start-up organization to leading and managing the team in the Aristocrat family of companies. UA and Creative experts from 4 leaders in gaming got together for a type of jeopardy for ad creatives. In this game show format, the participants were shown creatives side by side and had to vote on which they thought performed better. For example, the participants voted on two Star Trek videos from Disruptor Beam that were a/b tested for different color palettes. Other elements tested included concepts (holiday/seasonality/gifts), theme (cowboy vs. King Kong), standard vs. zoom element, and more. 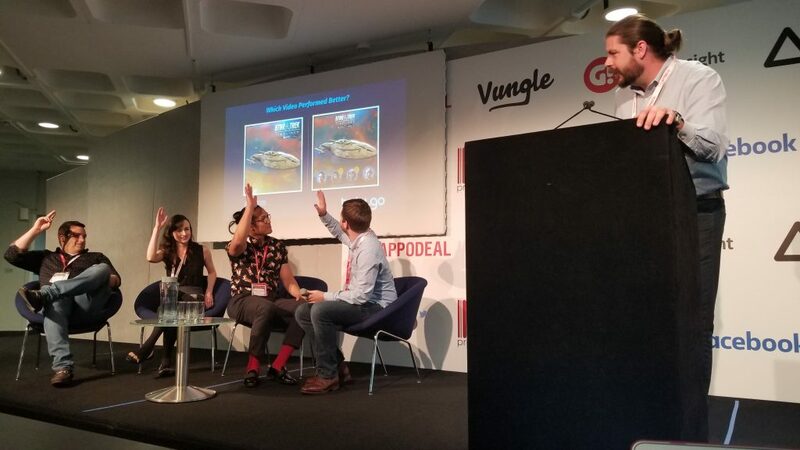 When asked about the next generation of creatives, Murka, Disruptor Beam and Product Madness all agreed that HTML5 playables will come after video. Disruptor Beam expressed their anticipation for VR on Facebook Messenger. 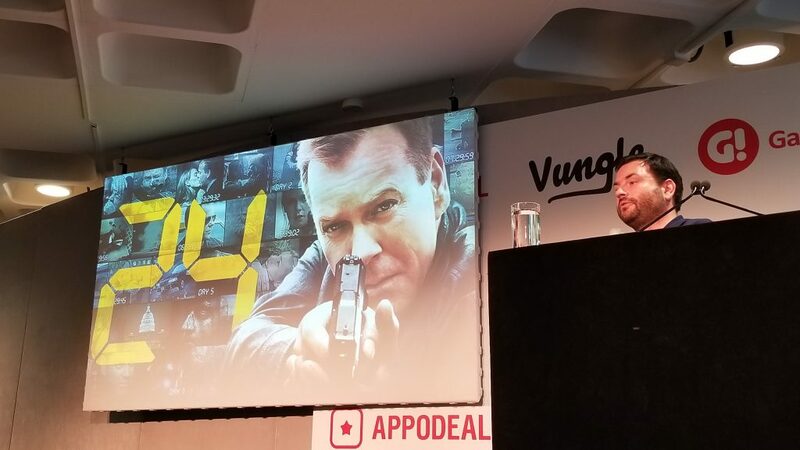 Andrey discussed the fantastic growth that KamaGames achieved last year and how they managed to be able to report some hugely impressive numbers, such as a 63.4% increase in gross revenue, 30% increase in ARPPU and the player base crossing the 100M threshold. KamaGames has 8 social casino games, of which Texas Holdem Poker is the #1 top grossing app in iOS in 101 countries and in Android in 45 countries. The company has done extensive research and testing over the past 8 years in order to find ways to increase their most important KPIs. Andrey emphasized that KamaGames changed the rules of the game by making poker casual. One of their key objectives was to just make it more fun. Party modes – Players can play with 10 to Ace cards only, with jokers, with a clone of someone else’s cards on the table, etc. The main goal behind this – to have players stay until the end of each hand. 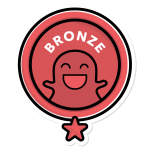 This has greatly increased retention. Added events – They find that 51% of players play two or more social casino games. This has contributed to 30% growth in ARPPU and an increase of 6% in number of paying users. Whow Games is the fastest emerging social casino in Europe. In this session, Tobias discussed the challenges faced when entering the European market, including the complexities in each country (legal, language, culture, demographics, etc.) that must be taken into consideration, and why success in one country cannot necessarily be copied to another. There are many countries in Europe and they’re completely different from one another. Unless you have a huge title, you have to take each country on its own. This is a really hard challenge. Just consider the number of languages across Europe – there are over 150 (!) with 24 languages used in parliament alone. European countries vastly differ not just by language, but by culture as well. This diversity is celebrated, as in the annual Eurovision song contest. Some examples of cultural differences include the siesta in Spain, and a preference of cash over credit cards in Germany (something that needs to be considered when it comes to mobile payment – Apple Pay has yet to make it to Germany for example). Dhruti and Tom are associates at Harris Hagan, where they deal with all aspects of gambling law. 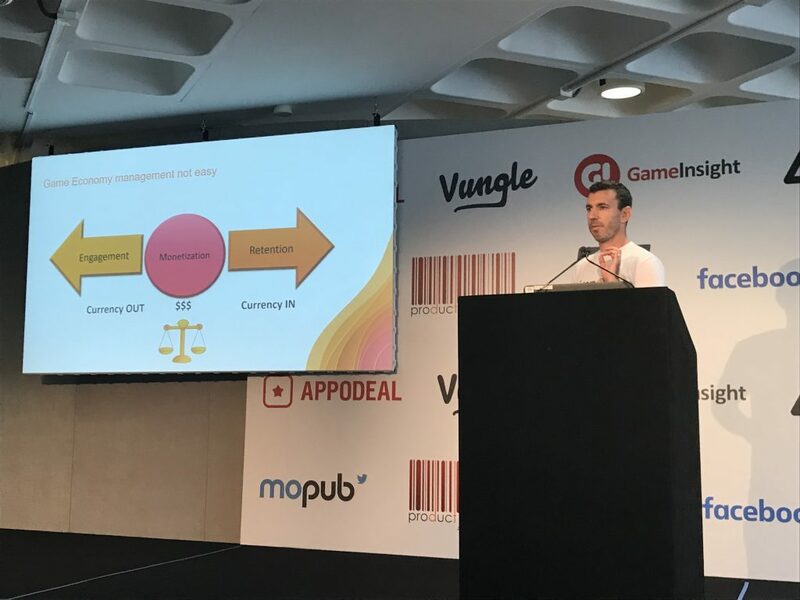 In this session, they discussed the cross-over between video gaming and gambling, specifically referring to the UK and touching on loot boxes, ‘skin’ gambling and social casino games. There is increasingly an overlap between gambling and video gaming, and a grey area in between. Gambling may include betting, lottery, or gaming (casino games). Gaming is defined as playing a game of chance for a prize. Where do the overlaps occur? Loot boxes – if it’s not a real money prize or something that can be exchanged for real money then it’s not gambling. Skins betting – if you’re offering anything that can be interpreted as gambling, it’s much more likely to get attention of the gaming commissioner. Tournaments – a tournament organizer needs a license if the tournament is considered gambling. Does this game have an element of chance? If it does, is it significant and actually has an effect on the game? The gambling commission has stated that the majority of tournaments in relation to eSports don’t fall within the gambling sphere. The question that arises is should eSport tournaments be considered a sport? If so, it would completely fall out of the sphere of gambling. There are different views on the matter, but Harris Hagan doesn’t see this changing any time soon. Head to Head – this is likely to be considered betting. Betting is defined as the making and accepting of a bet on the outcome of a competition. You need a license for betting activity. Though the underlying game may be a skills game, not a game of chance, this falls under the definition of betting and you need a license. Michael oversees all scientific-related analysis at Product Madness. In this session, Michael discussed the subject of virality. 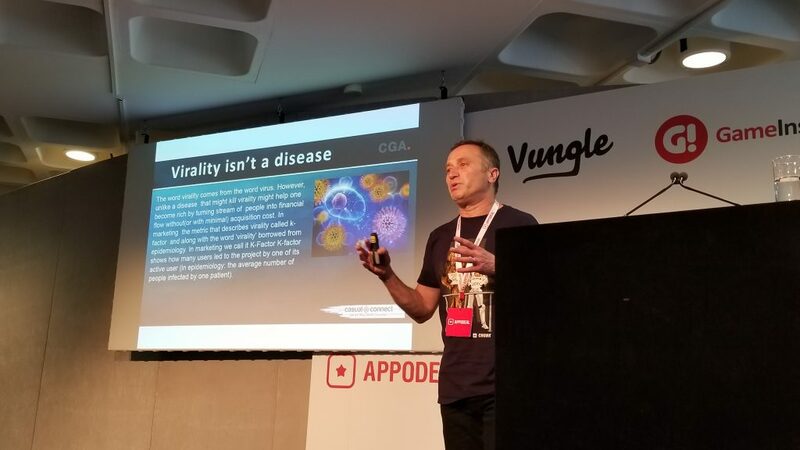 With a bit of humor, Michael started by saying that, while virality comes from the word “virus”, there’s nothing bad about it. It works and it definitely helps you make money. How? Well, quite simply, you are getting many downloads that you are not paying for – free money! While we can’t really know for sure what will become viral, we can give a sort of “push”. How can we measure virality? k-factor=i*c, where i is an average number of invitations sent by one user, and c is an average conversion from received invitation into registration. What is a good k-factor? Greater than 1. This means that it’s growing, and growing for free (for any install I’m making, can I actually make 3 or 4 more?). Michael discussed more methods of measurement, including GraphChi to track virality, and triangle counting to calculate cliques (a clique is a group of people where everybody is connected directly to everyone else). You have to remember – virality dies down, as any virus dies down.